I love to enter sweepstakes from companies I like. Winning stuff is so fun! Like I always say you cant win unless you enter. I have found an awesome promotion from Schwinn to win the perfect Schwinn product for a friend and if they win, Schwinn will return the favor and you’ll get one too. 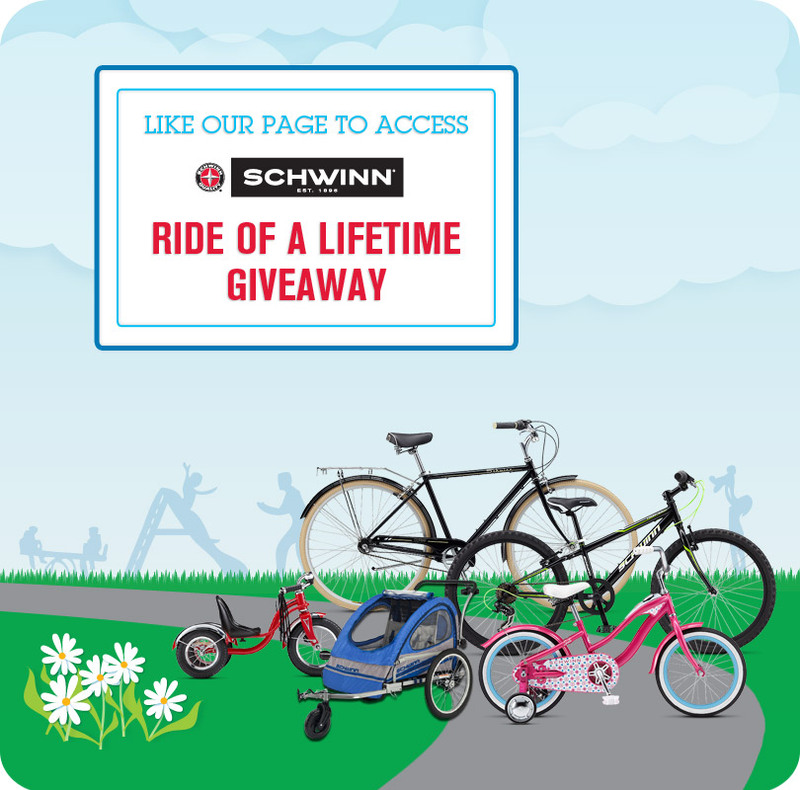 Its easy to enter and you can enter several friends to win different Schwinn items. Just "like" them on facebook to get started. I know I will be entering this one. I would love to be able to give a bike to a friend and win one for me too. We were just at the store looking at the baby buggy bike attachments for my son. I would love to be able to take him on the bike trails on the American River. I feel the same way Olympian Summer Sanders. I have wonderful memories of my own Pink Schwinn bike I rode as a kid. It was so cool! My sister Sam and I had matching ones. We even had those colorful noise makers you put on your spokes. Many great memories of riding them to the local grocery store with our older brother to get frozen yogurt with toppings. Biking is healthy for you and the environment! Today, biking beats out buses and mass transit as the second favorite form of transportation. While there are 62 million cars in the United States there are more than 100 million bicycles. More than 41 million Americans get out and ride all year long. For more information and to enter Schwinn’s Ride Of A Lifetime Promotion please visit www.Schwinnbikes.com or Schwinn on Facebook at www.facebook.com/rideschwinnbikes.